I am a big lover of the sour cream onion flavor especially when it comes to potato chips. 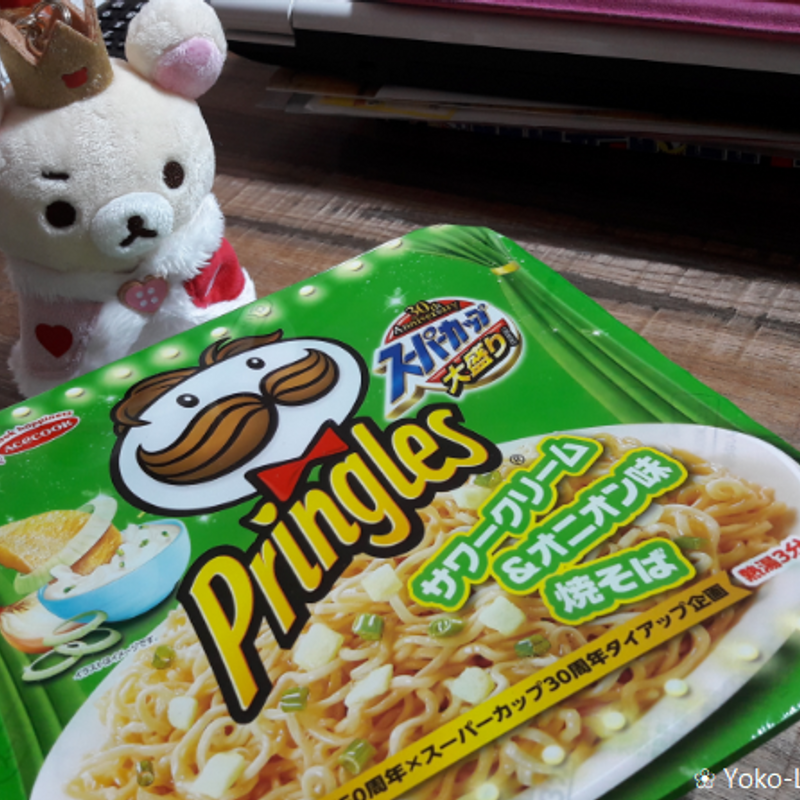 That made me even more excited when I heard about the collaboration of Pringles and Super Cup at the beginning of October. For sure, I went out to get the yakisoba at the supermarket right away after it was released on October 15th, but I couldn't find it. After a while I finally could get my hands on it at a convenience store. Preparing the yakisoba is very easy. There is an explanation in Japanese on top of the lid. First, open it from A to B and get the two small bags out. Put hot water inside until the line inside the cup and wait for three minutes. After this, open the hole on the other side of the lid and pour out the water. After taking off the lid you should mix the oil into the noodles. 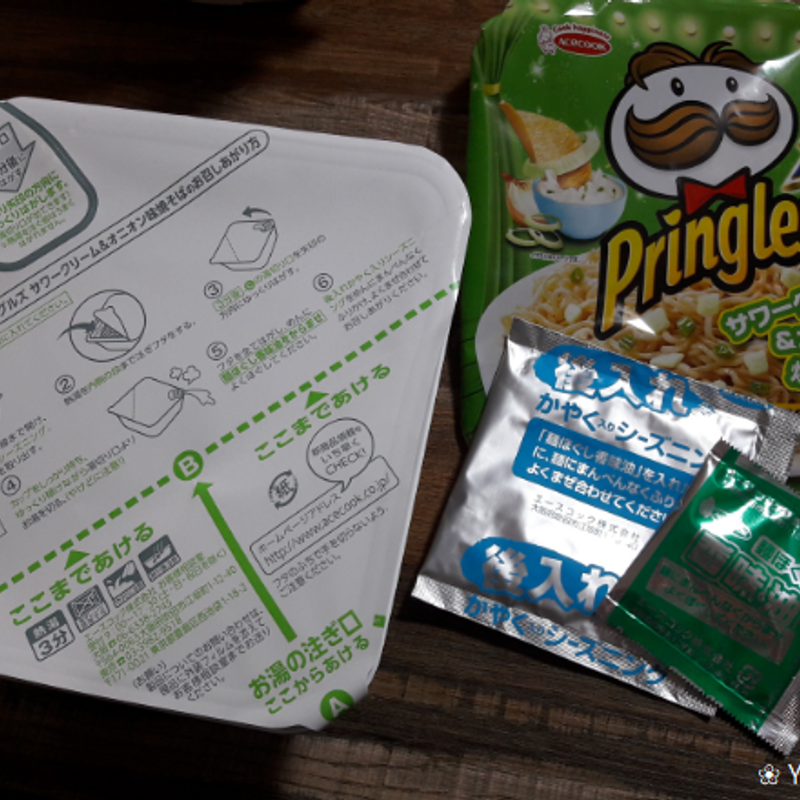 Next comes the seasoning packet which brings out the Pringles Sour Cream and Onion taste. You already could smell the chip-like flavor! So it was time to mix it with noodles and ... finished! Ready to eat! Actually, it didn't look anything special at all, so I crushed and added some more real potato chips. Now it was finally time to eat and - yeah, the taste was OK. It didn't knock me over, but it also was not bad. 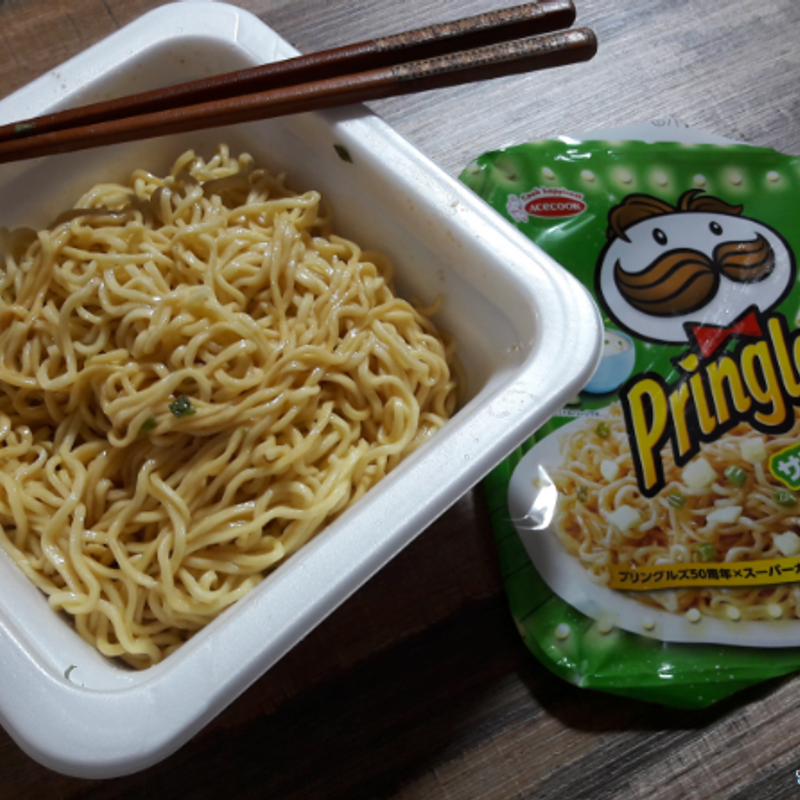 I like the sour cream and onion flavor, however, I wish it would be a little bit stronger. Rather, adding two packets of seasoning would sound nice to me. To sum up, if I find it again for a reasonable price, I would buy it again - I prefer this flavor to the usual one - but I wouldn't run out to stock it up at home. 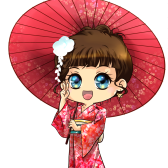 Have you already tried it or would be interested into it?